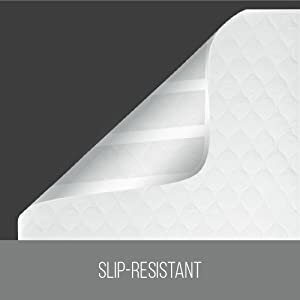 GORILLA GRIP Original Slip-Resistant Mattress Pad Protector (52" x 34"
The GORILLA GRIP Slip-Resistant Incontinence Toddler Mattress Pad is your key to unlocking a more restful, confident, and dry night’s sleep. Our pad brings together maximum absorbency and comfort all in one. Our pads are all about comfort! 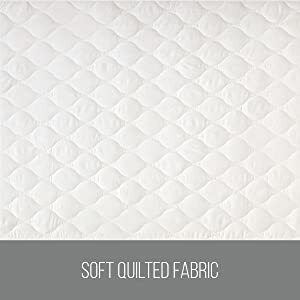 While some toddler mattress pads have a scratchy feel, our pad features a soft quilted top layer and poly/rayon inner layers for a smooth, cushiony feel. Plus, our non-slip backing reduces bunching & slipping. While other mattress pads may move around during the night, leaving your bed sheets vulnerable to leaks, our pad moves around less thanks to our exclusive Gorilla Grip slip-resistant backing. 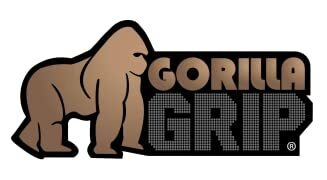 The Gorilla Grip slip-resistant pad can absorb up to 8 cups of liquid. 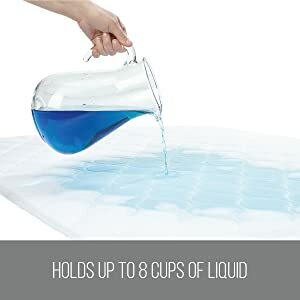 Our unique 4-layer design traps liquid in the pad and then disperses it, keeping your sheets dry. Plus, with our generous size, 34" x 52”, you are getting maximum coverage whether it be on your bed, couch or on the go! Washing your pad is easy! 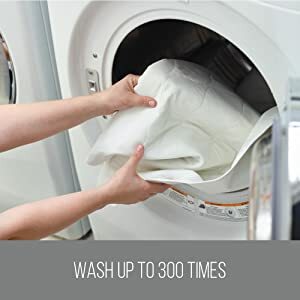 Simply machine wash and tumble dry, and your pad will be ready for another night of premium protection. We promise that our pads will maintain absorbency for up to 300 washes! Our pads are also safe to bleach. By choosing our washable pad, you are saving over 300 costly disposable pads - a smart way to go green. Our toddler mattress pads can make your life a little easier during a stressful potty training time. Other brands are bulky and feel coarse, but our pads have a slim profile and are gentle on your child's skin. They are also BPA and lead-free, a must for your family. The Gorilla Grip Incontinence Pad is also designed to provide maximum protection against pet accidents or leaks. This means no more messes on your bed, carpets or furniture. 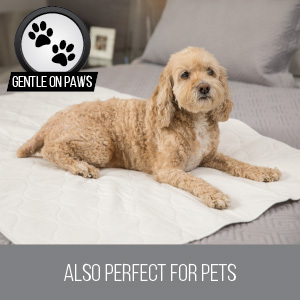 Plus, the ultra soft top layer is super soft on sensitive paws. THE BEST PAD YOU WILL EVER OWN!! 4-layer design features a soft cotton blend quilted top layer, leak proof inner layers, and our exclusive Gorilla Grip non skid (non-adhesive) backing. Our pad offers not only unparalleled comfort, but defense against leaks. Back to Click on an Icon Below to see Details!